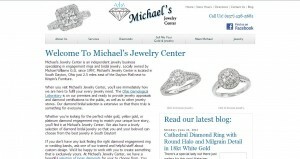 Michael’s Jewelry Center address, phone, website, hours of operation, and more. 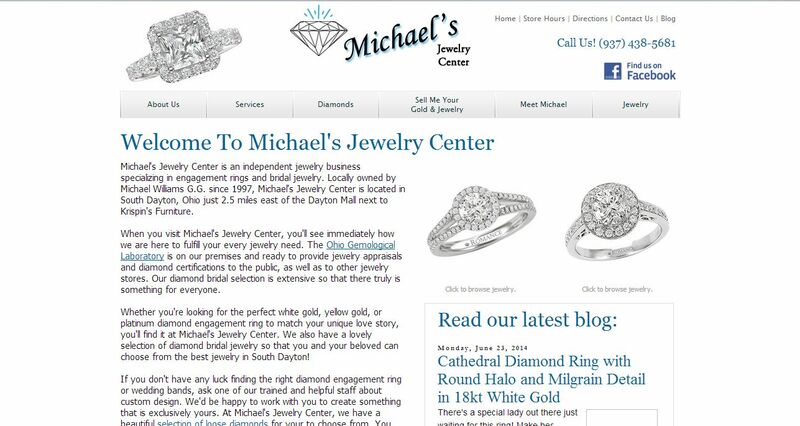 Michael’s Jewelry Center is an independent jewelry business specializing in engagement rings and bridal jewelry. Locally owned by Michael Williams G.G. since 1997, Michael’s Jewelry Center is located in South Dayton, Ohio just 2.5 miles east of the Dayton Mall next to Krispin’s Furniture. When you visit Michael’s Jewelry Center, you’ll see immediately how we are here to fulfill your every jewelry need. The Ohio Gemological Laboratory is on our premises and ready to provide jewelry appraisals and diamond certifications to the public, as well as to other jewelry stores. Our diamond bridal selection is extensive so that there truly is something for everyone. Whether you’re looking for the perfect white gold, yellow gold, or platinum diamond engagement ring to match your unique love story, you’ll find it at Michael’s Jewelry Center. We also have a lovely selection of diamond bridal jewelry so that you and your beloved can choose from the best jewelry in South Dayton! If you don’t have any luck finding the right diamond engagement ring or wedding bands, ask one of our trained and helpful staff about custom design. We’d be happy to work with you to create something that is exclusively yours. At Michael’s Jewelry Center, we have a beautiful selection of loose diamonds for your to choose from. You can even bring in diamonds and gemstones you already have if you’d like them to be used in the design.